Learning to pronounce English words isn’t easy. Vow doesn’t sound anything like show, despite how they look, and trough is different from though, as is book from boot. And don’t get me started on split-personality words such as (to) close and (too) close. When I was teaching, my students asked me why there was no consistency in how English words are sounded out and I said that’s just the way it is, silently cursing the minions who came up with these arcane rules for pronunciation (or pronounciation as some people incorrectly say). 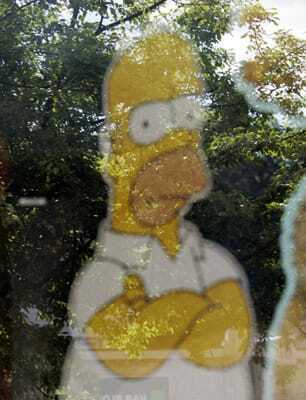 When D’oh is not a deer. And that silent curse was just a native English speaker’s perspective. It made me want to know how one of the fastest-growing populations of non-native English speakers, the Chinese, feel about this tricky pronunciation. In Toronto’s Chinatown where sidewalks are crammed with vendors and shoppers loading up on the week’s fruits and vegetables, shop worker Rin Song says she often stumbles on unfamiliar English words. When I ask Song to pronounce the word latex on the package of gloves she’s hanging on the wall, she uses the short a, as in latter, instead of the long a. She’s never heard the word before, so she’s taking a flying leap into its pronunciation. I’ve long wondered why we don’t have a more effective way of teaching this language of ours — so that what you see is actually what you say. It turns out that a local teacher named Judy Thompson has come up with one, laid out in her aptly titled book, English is Stupid. Thompson is an ESL and English teacher at Sheridan College, just outside Toronto. She says we have to start with the premise that writing and speaking are different languages with different rules. “When you teach a set of rules for one skill, and you expect a result in another, well, you don’t get it,” Thompson says. Indeed, the road from reading words to speaking them like a native is filled with potholes. According to Thompson, the biggest problem in teaching English pronunciation is that the traditional way of using the International Phonetic Alphabet (IPA) simply doesn’t work. You remember those nonsensical hieroglyphics beside a word in the dictionary. Think hard: Have they ever helped you? The IPA was actually developed in France so that any language could represent its sounds by drawing from a standard set of symbols. Good idea, but très compliqué. Thompson found the hardest sounds for foreigners to lift off the page are vowels. So she created her own system — a vowel colour chart. “It was just kind of a freak coincidence that the colours in English, besides being the first thing people tend to learn in a language, have a vowel sound embedded in each of the names of the colours. So the words cat, mask, apple, laugh and plaid are all black. Thompson says it takes students less than an hour to learn the 16 sounds in the chart. Thompson says she’s getting great feedback from her students as well as other teachers. Alas, new words can always trip you up. When the first Harry Potter book came out, oh so many years ago, the whole time I was reading it, I thought the name Hermione was pronounced hermee-own, like anglophone. But it’s actually her-MY-o-nee, like anemone. D’oh! It was only by chance that I overheard someone more in the know and learned the error of my ways. So it seems a big part of learning how to pronounce words is to keep listening. But here’s a thought. Maybe written English will gradually come to resemble spoken English as foreigners slowly take the language over from native speakers. There are now more than a billion non-native English speakers in the world and most conversations in English happen between two people speaking it as a second language. A standardized “global English” is spawning new vocabulary, grammar and pronunciation, spread by the media, internet and all forms of technology. Texting alone is gradually killing off vowels. Why say “I love you” when you can say “I luv u”? They say it means the same thing. And it actually looks like it sounds.